Vaping, on a whole, is surging. 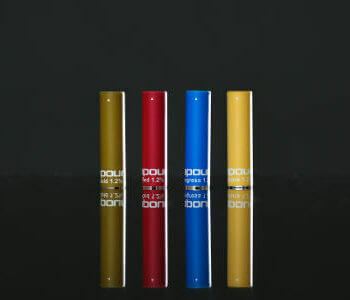 The popularity of vapour products both here in the UK and around the world is immense and gaining even more traction. This was highlighted in a recent study in America, where a new report from the CDC has shown just how much Americans love vaping. What was perhaps even more interesting was the massive gain in sales of so-called rechargeable, cartridge-based, electronic cigarettes. Even with refillable vaporizers becoming a staple for many veteran vapers, we’re seeing a massive rise in the popularity of prefilled cartridges. Part of this rise is just a slew of new vapers discovering the benefits of vaping over smoking. Naturally, a lot of these freshly minted vapers are attracted to prefilled cartridges. But what is more insightful is the fact that, at least in America, the rise of the cartridges actually has come at the expense of disposable e-cigarettes. While disposables were a great entry point into vaping due to their wide availability and simple concept (use it, then throw it away), they have now officially made way for re-chargeable e-cigs. The benefits of a rechargeable device are rather clear too. First, you’ll save money by not needing to buy a new battery every time. It’s cheaper to purchase a new cartridge than a brand-new disposable when you are out. Generally, you should also expect better quality out of a rechargeable device when compared to a disposable. Both disposables and rechargeable e-cigs with prefilled cartridges would be considered closed symptoms, as opposed to vaporizers and other open systems. You can read up on the difference between open and closed vaping systems here. The point is that more people are eschewing the disposable for the rechargeable, and it is a sign that the vaping market is beginning to show signs of maturity. With more smokers being exposed to vapour products and even trying some themselves, it makes perfect sense that there would be a rise in the use of prefilled cartridges. Using an electronic cigarette with a prefilled cartridge is as easy as picking up a pack of traditional cigarettes, making the transition simple. The only “work” you have to do, as opposed to disposables, is actually charge your battery. Besides that, the cartridge or pod-based systems are an intuitive way for new and veteran vapers alike to get what they need. Brian King, the senior author of the CDC study we referenced, has noticed the shift toward these types of vaping device. “It’s ultimately reflective of the changing landscape, and we’re seeing more of these pod mod devices such as Juul that are now entering the marketplace,” said King. In fact, in 2016 an average of 766 prefilled cartridges was sold for every 100,000 Americans. That’s a lot! It’s a higher rate than any other type of vapour product sold in the US. This gives us some hard data to back up what we see as a wide range adoption of cartridges. The same can be said about the market here in the UK. 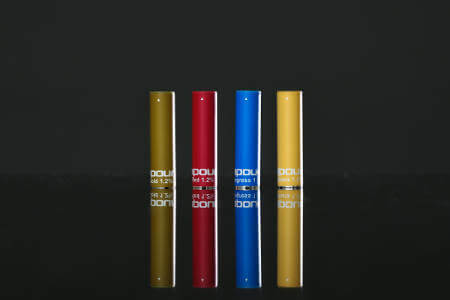 While some veteran vapers do move on to tank-based systems in search of bigger clouds of vapour and more customisability, cartridges are still huge. We’ve seen the increase in popularity in our own prefilled flavour cartridges, as people discover how a premium 2-piece vapour system can help them in making the switch. We’re excited to see so many new vapers come aboard with the help of electronic cigarettes and the prefilled cartridge. We’re far from reaching the pinnacle, but clearly, vape cartridges have reached a new level of popularity, and there is much more coming in the future for this very popular product line.